As we sit in our houses and buildings made of stone,brick,wood and steel looking out the windows seeing a concrete jungle surrounding us we miss out on all the wonders of nature and the beauty of this world we live in. Species after species of animal fade into extinction along with their habitats as mankind builds more and more cities. Progress and industry overrides the survival of both man and animal in this modern world we live in. So much we have lost on our journey through civilization and towards modernization. So much is missed and so little saved in the name of progress and conquest. The once plentiful forests and bountiful oceans our grandparents enjoyed are slowly becoming diminished and are heading to the point of no recovery. No recovery in mankind’s timeline that is, once our natural resources are gone man will either become extinct by his own hand or will have to venture out into the cold of space in search of a new home. 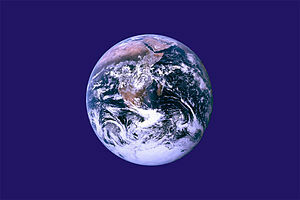 We can however save and or slow the devastation of our home called planet earth. This will of course not be an easy task and many decisions will have to made that may not be the most economical or popular. In the long run the choices will become an economical boom and benefit all that live here on this planet. As a precaution maybe mankind should gear up our space exploration and concentrate on finding another inhabitable planet or invest in the technologies that would make it possible to implement terraforming. Space stations are fine for a starting point but to be able to sustain life for any length of time in such an environment would be a hard task due to limited resources available in the emptiness of space. Mankind’s number one priority should be the survival of his race and then the preservation of his home. Though the likeliness of another inhabitable planet in the universe is highly probable, with the lack of technologies to reach such a planet in a human lifespan makes it an unlikely option for the time being. The human race is a very inventive and adaptable species so we have a good chance of escaping total extinction if we are wise enough to be aware of such a danger. The biggest obstacle in the way of true human progress is our inability to cooperate with each other for any given length of time. Our difference of beliefs and opinions stands in our way for the most part, The differences we have also make us a very unique and gave us our ability to thrive. So that which makes us strong also can be our worst enemy if we do not learn to cooperate for the common good of our species. So the natural world of earth slowly changes and dies as we adapt our environment to suit our liking. We ignore the facts and take no responsibility for the damage we have done nor the consequences that we will have to face. It is this ignorance and arrogance of mankind that may be our undoing. Luckily not all of mankind is blinded by ignorance and arrogance, but unfortunately the ones that are usually are the ones in power. The destination of mankind is in the hands of the people not the few in power. The voices of many will eventually overpower the voices of the few.